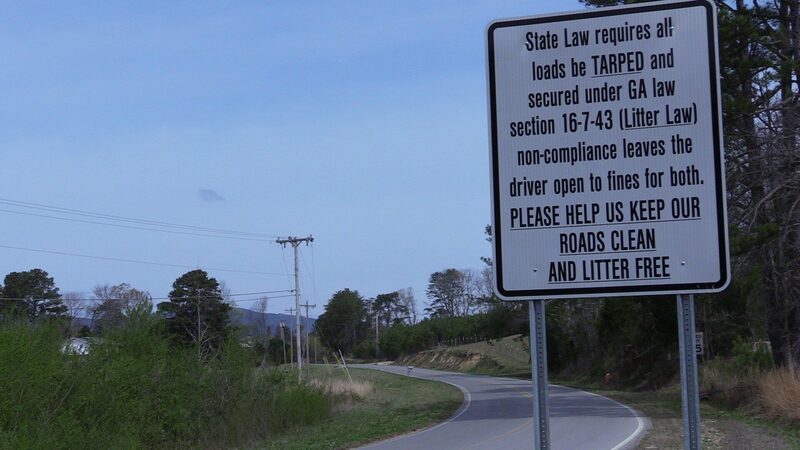 WALKER COUNTY — Beginning on April 15, Walker County Police will be issuing $25 fines to motorists driving with unsecured or uncovered loads. Georgia law mandates that no vehicle shall be driven or moved on any public road unless such vehicle is constructed or loaded or covered so as to prevent any of its load from dropping, escaping or shifting in a way that creates a safety hazard or creates litter. Also on April 15, the Walker County Landfill’s gate hours will run from 8 a.m. to 4 p.m. Monday through Saturday for all customers. Customers will need to be in line before 4 p.m. The landfill will begin opening to the public on Wednesdays.